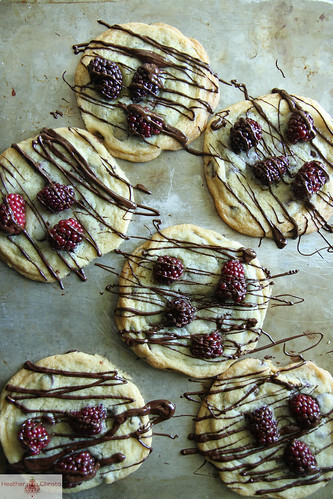 Oh these look simply delicious! 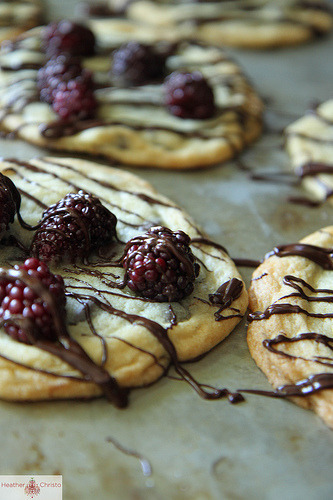 These are indulgent and delicious Chocolate chunk cookies studded with juicy blackberries and topped with a drizzle of dark chocolate. 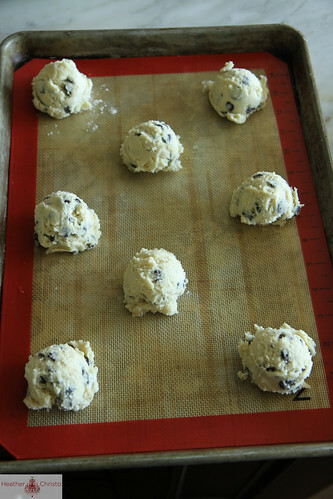 Preheat the oven to 350 degrees and prepare two sheetpans with silpats or parchment paper. In the bowl of a standing mixer, cream together the butter and sugar until creamy. Add the eggs and combine well. In a separate bowl combine the flour, baking soda and kosher salt and then add it to the batter. Add the chocolate chunks and combine well. Scoop onto the prepared sheetpans. 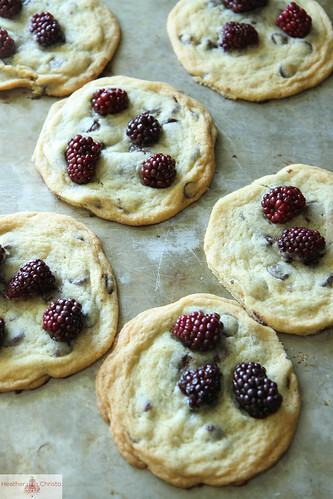 Flatten each cookie with your palm and then nestle a couple blackberries into each cookie. Bake the cookies for 12-14 minutes until golden. Transfer to a cooling rack or countertop to cool. Melt the chocolate and stir with a fork. 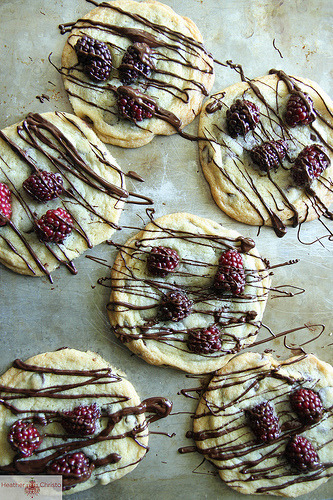 Drizzle the chocolate over the cookies. Let the chocolate set up and serve! Add the eggs and combine well. In a separate bowl combine the flour, baking soda and kosher salt and then add it to the batter. Add the chocolate chunks and combine well. 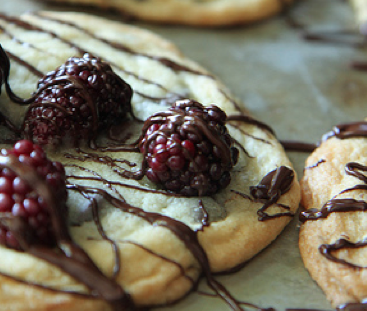 Flatten each cookie with your palm and then nestle a couple blackberries into each cookie. 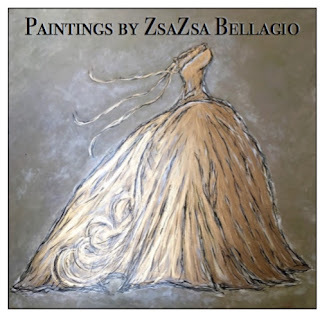 This entry was posted in delicious, it's so, latest and tagged cookies, recipe. Bookmark the permalink.